This book is written for ‘Mum and Dad’ investors by one of the world’s most successful Fund Managers who made his name managing the multi-billion dollar Fidelity Magellan Fund. He holds nothing back in his detailed advice on how Mum and Dad investors can ‘Beat the Street’ and outperform Institutional Fund Managers. He openly discusses his rigorous investment process and what he looks for in a successful investment. He discusses in detail, with past examples: how to go about finding your investment ideas; what research you should do on companies that you are looking to invest in; how to read company financial statements and what you should look at; what questions you should be asking yourself; when best to buy an investment; when to add to your investment and when to sell your investment. He discusses over fifty of his past investments detailing step by step how he discovered the investment, how he conducted research on the company and how he entered and exited the investment. He is also very open about the mistakes he made along the way and how he went about trying to avoid making the same mistakes again. I think the one thing that stuck out for me in this book was Peter Lynch’s view that investing is really quite simple and logical. He believes that any person using their own experiences and insights with the right amount of dedication and hard work can become a successful investor. 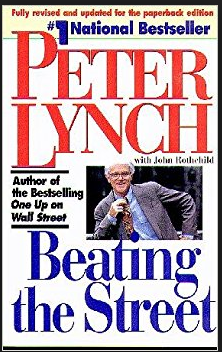 This book is a well worth reading as Peter Lynch gives an investor a lot of valuable insight into what a successful and complete investment process looks like.